Three colours to fill your garden with butterflies. Naturally compact in habit - perfect plant if space is limited or for growing in pots. They'll produce masses of delightfully fragrant flowers over the whole summer. Buddleias will act as an absolute magnet for bees and butterflies. Because flowers are sterile you can be assured that they will not self-seed in your garden either. Supplied as a collection of 3 x 9cm established plants, including Blue Heaven, Dark Pink and Snow White, along with 3 planters. 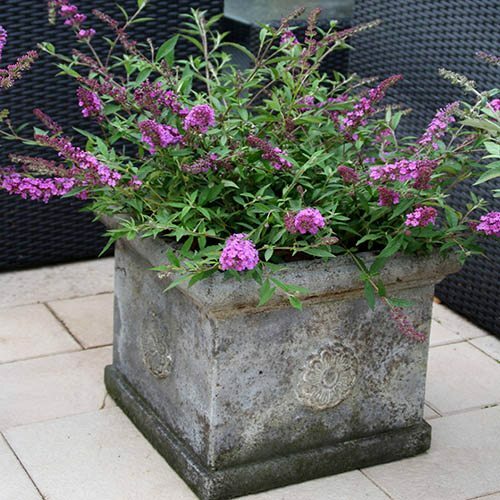 These brand-new Buddleias are naturally compact in habit and are a perfect plant if space in your garden is limited or if you would like to grow in patio containers. 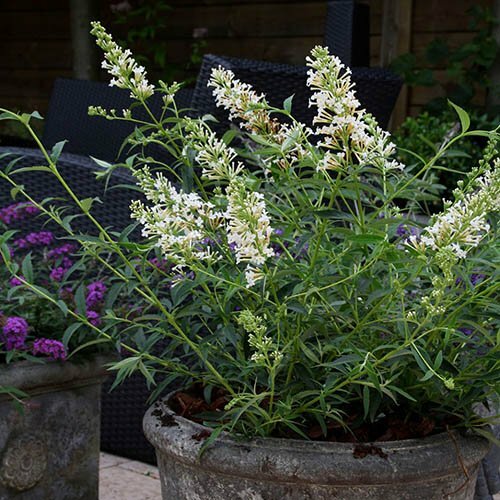 They'll produce masses of flowers over the whole summer which are delightfully fragrant and, like all buddleias, will act as an absolute magnet for butterflies and other pollinators, which gives them their common name of 'Butterfly Bush'. 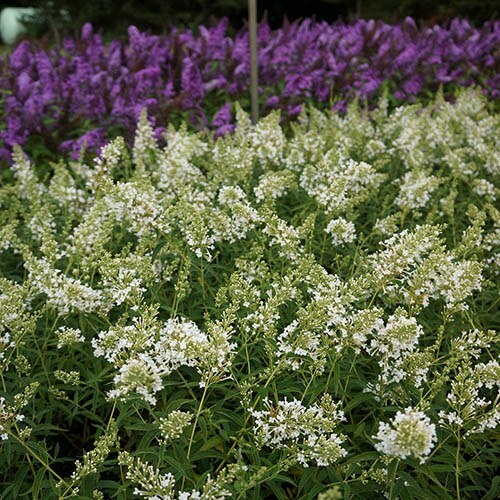 These shrubs are ideal for gardeners keen to preserve native plant species as the flowers are sterile - so you can be assured that they will not self-seed everywhere and take over the garden. Easy to grow and care for, so they're ideal for both novice and experienced gardeners alike, the plants are fully hardy and will fill your garden with colour for years to come. 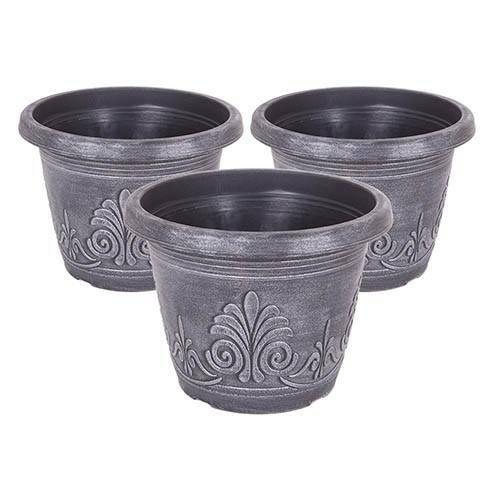 Growing to around 60cm (2ft), plants are supplied established in 9cm pots along with 3 x 9in silver ‘Inverted Laurel’ planters. Supplied as 3 x 9cm plants plus 3 x 9in silver ‘Inverted Laurel’ planters. 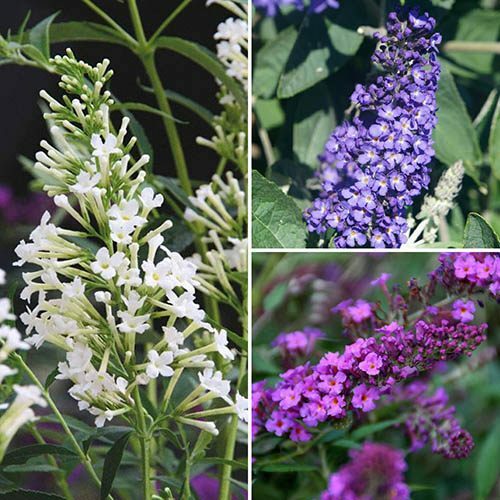 Includes 1 plant each of: 'Blue Heaven', 'Dark Pink' and 'Snow White'. Cut back hard in early spring to promote maximum flower numbers. Water regularly from late spring and through summer when in growth. 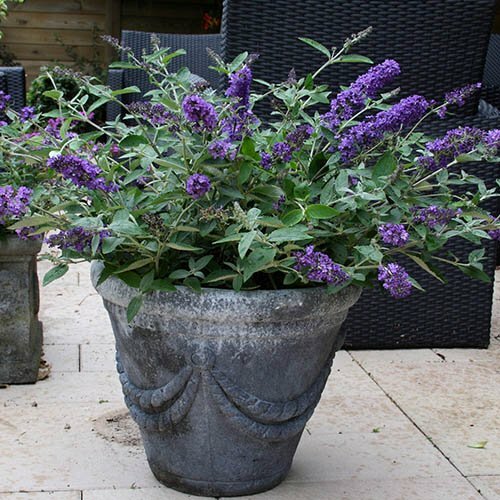 Avoid feeding buddleias as too much fertiliser promotes leaf growth rather than flower production. Remove faded flower spikes to encourage new shoots and more blooms. Quick delivery although left on the doorstep either the day before or very early in the morning. Maybe a knock or a doorbell ring would have been nice. A little disappointed with both pots and plants. Very quick delivery and they keep you updated on your order progress.